Recycling Works: Is Bubble Wrap Recyclable? In 1957 two inventors named Alfred Fielding and Marc Chavannes were attempting to create a three-dimensional plastic wallpaper. Although the idea was a failure, they found that what they did make could be used as packing material. Now known as “bubble wrap”, this plastic material contains evenly spaced, protruding air-filled pockets. The term “bubble wrap” is a generic trademark owned by Sealed Air Corporation, co-founded by Alfred Fielding in 1960. 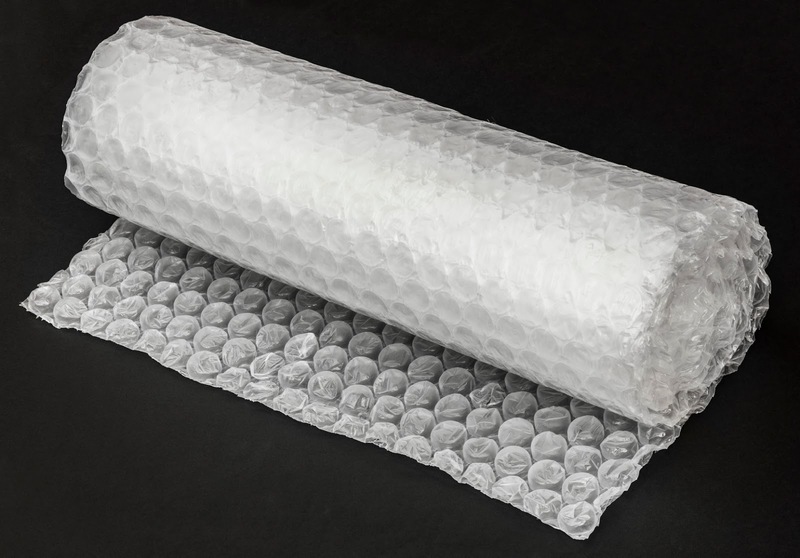 The plastic used to make bubble wrap is a low-density polyethylene (LDPE) resin. The resin is melted and processed into plastic sheets. Suction is used on one sheet to create bubbles, and another sheet is sealed on top to trap the air so that the bubbles retain their shape. In 1959, IBM first used bubble wrap as a protective packing material for its 1401 computers. Since this time, it has become one of the most common types of packing material in use. The ability to recycle bubble wrap is up to each individual recycling center. Most can accept it, especially in very large quantities. It is mixed with other similar types of plastic like dry cleaning bags, newspaper sleeves, and shopping bags, commonly referred to as “film”. Smaller quantities are more difficult to accept since commodities are usually purchased from recycling centers in truckloads. Storing material is also difficult until that quantity is achieved. Check with your local recycling center to see what their policy is on accepting this type of plastic. For more information on recyclable items visit www.wasteawaygroup.com. Which Type Of Egg Cartons Are Best? What is a PAYT Program? Can I Leave Packing Tape On Cardboard Boxes?